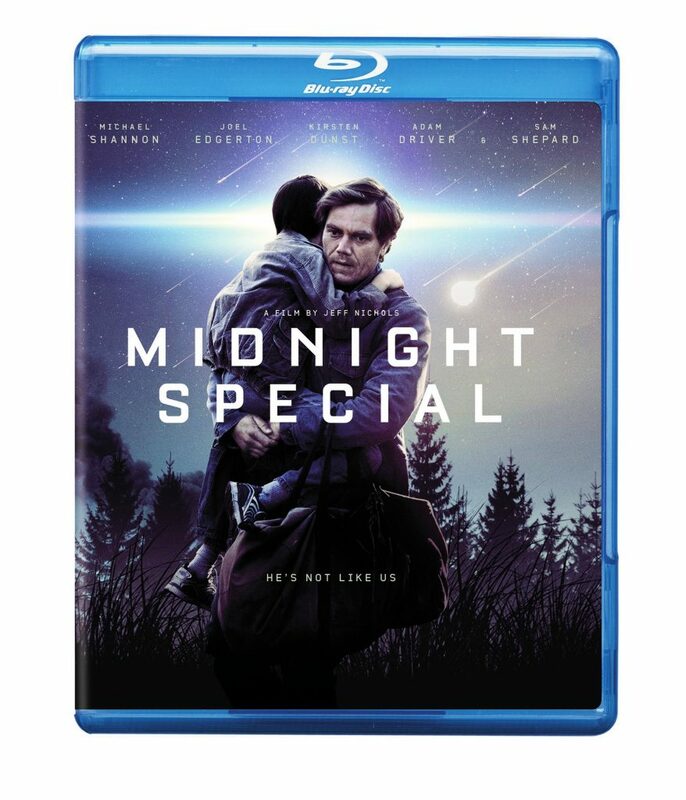 ‘Midnight Special‘ is coming to Digital HD on June 7 and Blu-ray debuts on June 21 and it’s going to be awesome! Alton Meyer is a boy unlike any other in the world with bizarrely powerful abilities and strange weaknesses. In the middle of the night, his father, Roy, spirits him away from the isolated cult that practically worships him and is determined to regain him at all costs. At the same time, Alton’s abilities have been noticed by the US government as well and they are equally insistent on getting to the bottom of this mystery with Paul Sevier of the National Security Agency leading the Federal pursuit with his own questions. These rival hunts force father and son into a desperate run towards a looming date with destiny that could change everything. We must ask ourselves how far would you go to protect your child? The film stars Oscar nominee Michael Shannon, Joel Edgerton, Kirsten Dunst, Adam Driver, Jaeden Lieberher and Oscar nom Sam Shepard. This film has it all, suspense, heroism, and the bond between a parent and child. Storyteller Jeff Nichols (‘Mud‘) directed the film from his own screenplay. This entry was posted on Tuesday, May 24th, 2016 at 3:06 am	and is filed under Film, News. You can follow any responses to this entry through the RSS 2.0 feed. You can skip to the end and leave a response. Pinging is currently not allowed. « We’ve Got Your First Look At ‘Nine Lives’ Starring Kevin Spacey and Jennifer Garner!!! We will not be hostages to be bartered, Dooku.